On February 15, 2003, a group of thieves broke into an allegedly airtight vault in the international diamond capital of Antwerp, Belgium and made off with over $108 million dollars worth of diamonds and other valuables. The crime seemed flawless--but the getaway was not. 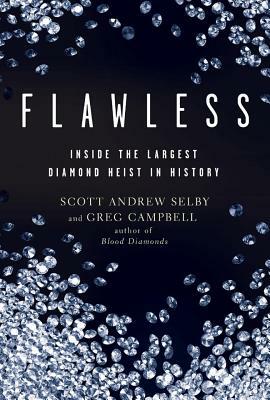 Scott Andrew Selby, a Harvard Law grad and diamond expert, and Greg Campbell, author of Blood Diamonds, undertook a global chase to uncover the true story behind this daring heist. Tracking the threads of the story throughout Europe, the authors put together the puzzle of what actually happened that Valentine’s Day weekend. Now in paper, this real-life Ocean’s Eleven provides a thrilling in-depth study detailing the better-than-fiction heist of the century.